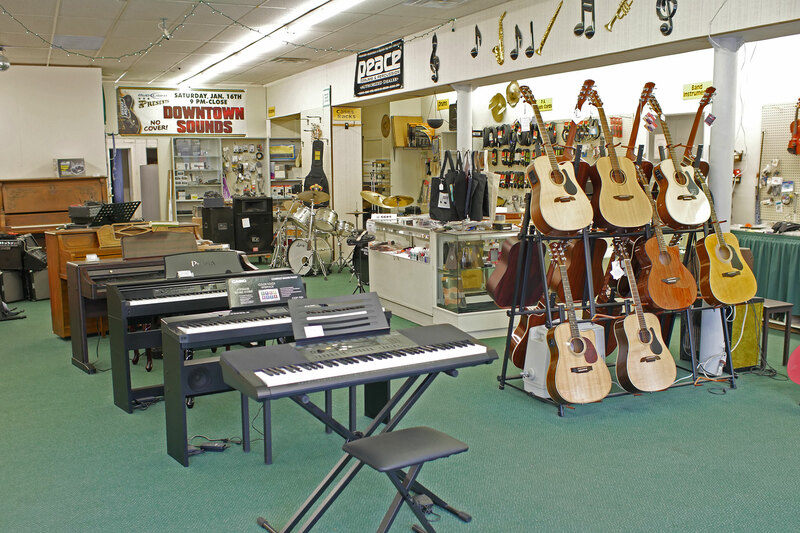 Downtown Sound provides quality instruments for all musicians, along with lesson books and supplies needed for the beginner all the way to professionals! Stop in and see our collection today! We carry many name brands of guitars for beginners to professionals, and also many sizes and selections for children and women. We also have cases and gig bags and guitar supplies. 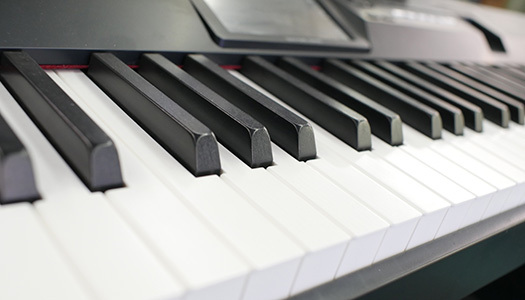 We carry a wide selection of portable keyboards and digital pianos, along with a few used acoustic pianos. 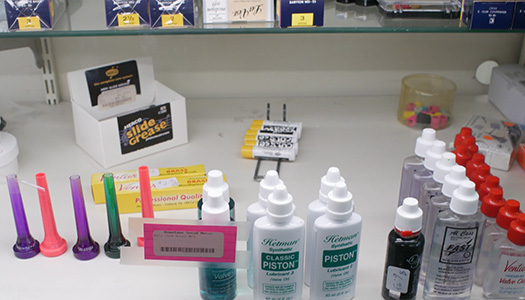 We also have all the needed supplies and sheet music for all players! 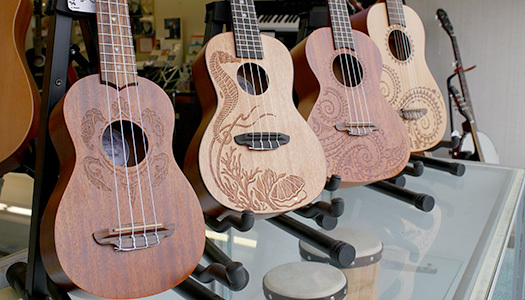 We have a large supply of everyone’s favorite ukulele! All sizes, all price points, even some that are electrified so you can plug them in! 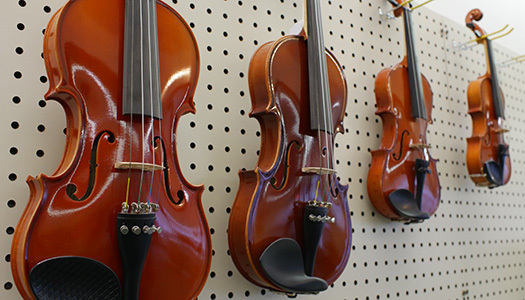 Violins of every size in stock!We sell, repair, and rent violins, and carry all of the needed supplies! 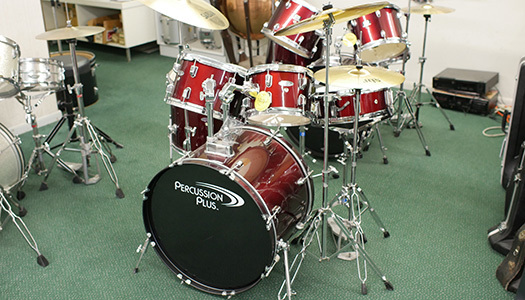 We carry complete drum sets, along with portable percussion kits needed for school band programs. Also: sticks, stands, cymbals, cases, and supplies. 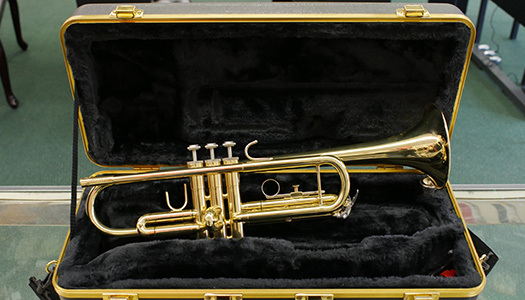 Downtown Sound carries all band instruments needed for school band programs. We buy, sell, rent, and repair horns. Call us today for details! 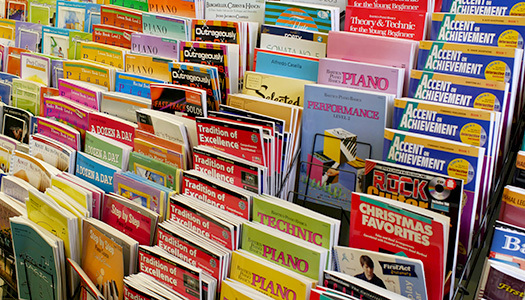 We have a great supply of lesson books and sheet music for students taking lessons, or in school band. We can also special order the books you need! 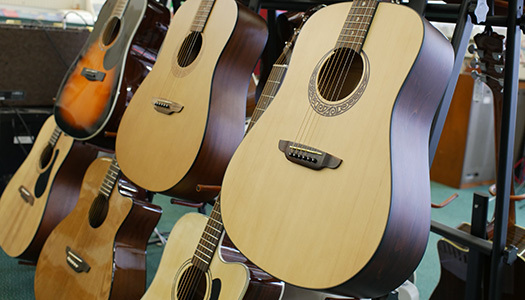 We have all needed supplies in stock for guitars, drums, band instruments, pianos, and violins, along with accessories for working musicians and DJ’s.